These were the chief findings in "How Safe Is Our Food? ", a report released by U.S. PIRG Education Fund, the research and policy arm of our national network, on Jan. 17. The report reached millions of people through coverage on CBS This Morning, NBC News and USA Today. 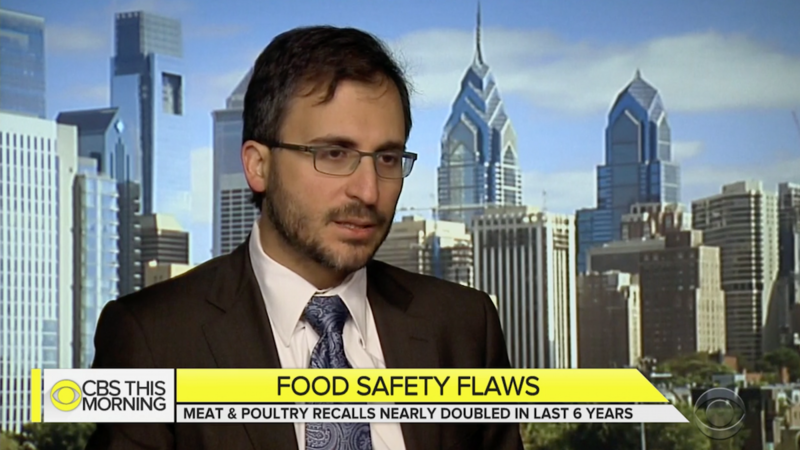 "We need to be looking for these farm-to-fork preventative solutions that are logical," PIRG Consumer Watchdog Adam Garber told USA Today. "By doing that, we can protect people's health." The Centers for Disease Control and Prevention estimate that 1 in 6 people in the U.S. contract foodborne illnesses each year. To stem the problem, our Consumer Watchdog team is calling for public health standards for agricultural water, a ban on Salmonella in meat, and a better recall system to get dangerous food out of people's homes.